After the meeting, Chief Minister Yogi Adityanath and other ministers are likely to take a dip in the holy water of Sangam. New Delhi: The Uttar Pradesh cabinet headed by Chief Minister Yogi Adityanath is set to meet at Prayagraj in a historic first on Tuesday, during the ongoing Kumbh Mela, the world’s largest religious congregation in the city. Notably, the state Cabinet holds meeting only in Lucknow and it is probably for the first time that such meeting is being held outside the capital city. Last time in 1962, under the regime of then Congress CM late Govind Ballabh Pant, the state cabinet meeting had taken place at Nainital (presently in Uttarakhand). “On January 29, the UP Cabinet will be holding its meeting at the integrated command and control centre in Kumbh mela area. The meeting is likely to commence at 10.30 am,” Additional Chief Secretary Awanish Awasthi said. Reports claimed that provision of a pension to all poor people in the state, including nomadic saints, is likely to be discussed at the scheduled cabinet meet. After the meeting, Chief Minister Yogi Adityanath and other ministers are likely to take a dip in the holy water of Sangam. Yogi Adityanath is also scheduled to meet seers at Kumbh Mela. The Chief Minister may hold discussions over Ram Temple with the saints during the meet. 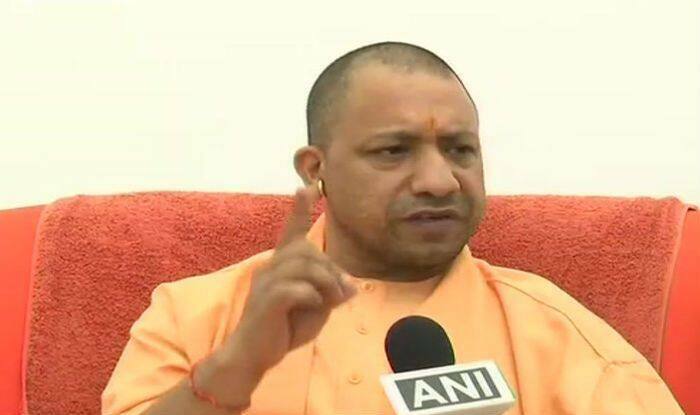 Earlier, Yogi Adityanath had said that the “patience” of people on the issue of Ram temple is “fast running out” and if the Supreme Court (SC) fails to resolve this matter, it should “hand it over to us” and the BJP will be able to settle this matter within 24 hours. “The unnecessary delay … is causing a crisis so far as people`s patience and trust are concerned,” the UP Chief Minister quoted as saying by a news agency. Meanwhile, Congress president Rahul Gandhi and his sister Priyanka Gandhi Vadra are also expected to take a holy dip at the Kumbh Mela on February 4. Priyanka, who will take charge as the General Secretary for Uttar Pradesh East that day, will be accompanied to the Kumbh by Rahul Gandhi, whose public zeal for Hinduism began with an April 2015 visit to the iconic Kedarnath shrine in Uttarakhand. It is one grand affair and has also been mentioned on the UNESCO’s Representative List of Intangible Cultural Heritage of Humanity. The usual Kumbha Mela is held after every three years, whereas the Ardha Kumbha Mela is held after every six years in Prayag and Haridwar. However, Purna Kumbha Mela takes place after every 12 years in one of those four places, based on planetary movements.